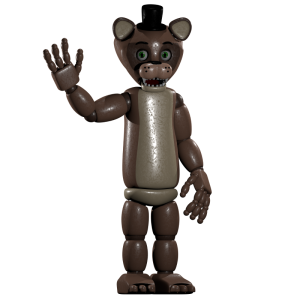 Popgoes is the main character and singer of Popgoes Pizza. The first iteration of Popgoes was initially built to function as a “scarecrow” character, on the advice of an online friend. 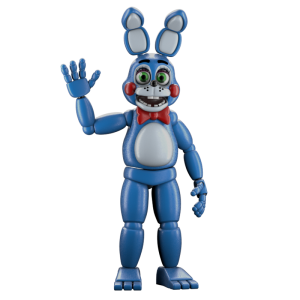 Popgoes was built to ward off the nightmares of Toy Bonnie, which was unsuccessful. The location of the prototype is unknown. 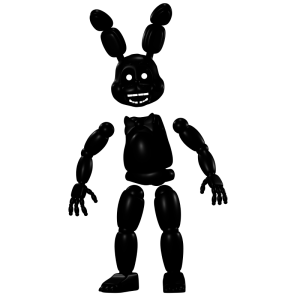 At night, Popgoes attempts to assemble Blackrabbit using the 3D Printers, always leaving the head until last. 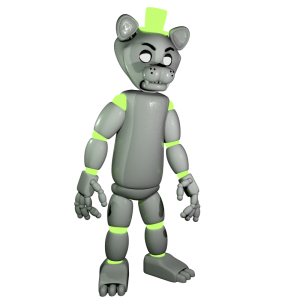 Blake is the in-house technician of Popgoes Pizza. The first iteration of Blake was initially built to function as a “scarecrow” character, on the advice of an online friend. Blake was built to ward off the nightmares of Mangle, which was unsuccessful. The location of the prototype is unknown. At night, Blake will attempt to turn off the power, and can only be stopped by pressing the coloured button that corresponds with the screen in the Server Room, then press the Call button emblazoned with the outline of Blake’s head. Blake will then appear to the player’s left, before returning to his seat. 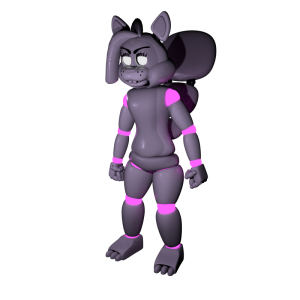 Sara is the bassist of Popgoes Pizza. The first iteration of Sara was initially built to function as a “scarecrow” character, on the advice of an online friend. 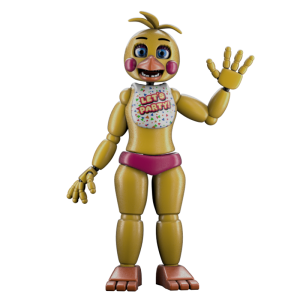 Sara was built to ward off the nightmares of Toy Chica, which was unsuccessful. The location of the prototype is unknown. At night, Sara will work together with Saffron to steal the player’s Weaselware phone. They do this by sneaking into the vents and working their way around the building, until they reach the vent above the player. When above the player, either Sara or Saffron will steal the phone. 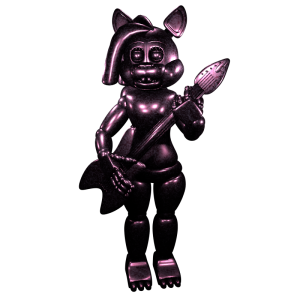 Saffron is the guitarist of Popgoes Pizza. The first iteration of Saffron was initially built to function as a “scarecrow” character, on the advice of an online friend. 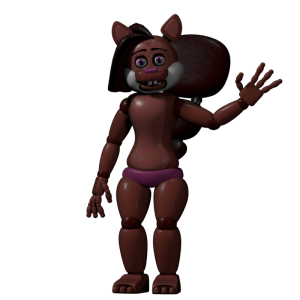 Saffron was built to ward off the nightmares of Toy Freddy, which was unsuccessful. The location of the prototype is unknown. At night, Saffron will work together with Sara to steal the player’s Weaselware phone. They do this by sneaking into the vents and working their way around the building, until they reach the vent above the player. When above the player, either Saffron or Sara will steal the phone. 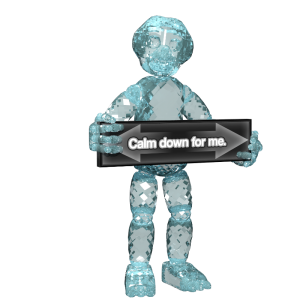 Stone holds a programmable welcome sign in front of Popgoes Pizza. The first iteration of Stone was initially built to function as a “scarecrow” character, on the advice of an online friend. 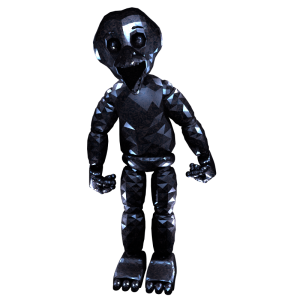 Stone was built to ward off the nightmares of Balloon Boy, which was unsuccessful. The location of the prototype is unknown. At night, Stone himself presents no threat whatsoever. Stone is actually incapable of moving from his station outside the pizzeria. However, the player will frequently hallucinate Stone looking at them, and appearing on their cameras. Stone’s hallucinations will occur more frequently as the player gets more panicked. 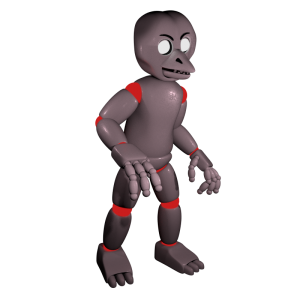 Unlike the other animatronics, Stone has two unique counterparts in the game. Stone’s first counterpart, Gem Stone, represents Fritz Glade’s desire to keep his business transparent. Gem Stone is a figment of the player’s mind, and is not real. 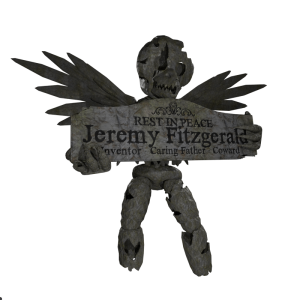 When Fritz is killed, Gem Stone becomes Grave Stone in the player’s mind, and represents Fritz’ worries and condemnations, following the murder of Bonnie Glade. 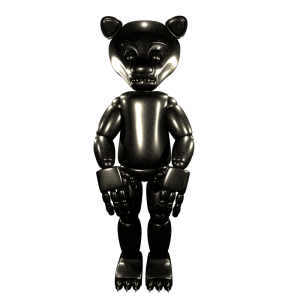 Blackrabbit is the main threat of Popgoes. Popgoes will attempt to build Blackrabbit during the night shift of the player. 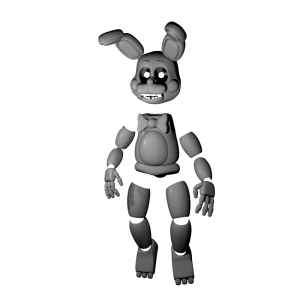 Blackrabbit will become possessed by Bonnie Glade upon being fully assembled, and will “kill” the player. 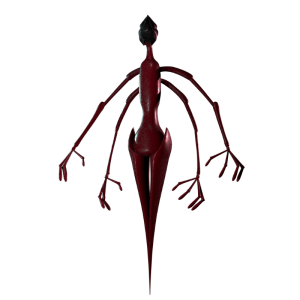 Blackrabbit seems to have paranormal attributes that allows her parts to float and become assembled, without the need of connecting parts between the limbs, torso and head. 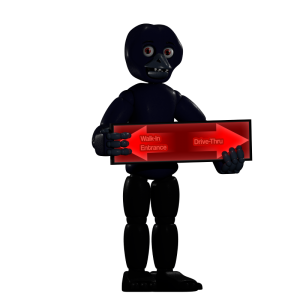 Simon convinces Fritz to build Blackrabbit following the loss of his daughter, Bonnie Glade. Upon being built, Blackrabbit immediately kills Fritz. 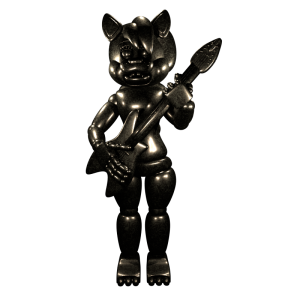 The ultimate fate of Blackrabbit at the end of the game is uncertain, as is the fate of Bonnie Glade’s spirit. 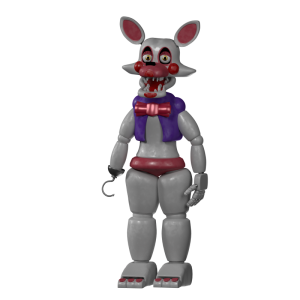 It is a known fact that the 3D printed parts fall apart unless painted, so it is presumed that Blackrabbit and all of her parts disintegrate into dust after every shift, and after her murder of Fritz. It is uncertain if Bonnie’s possession would end upon Blackrabbit’s inevitable disintegration. Blackrabbit appears to have paranormal strength, able to topple over Sec-Strings when fully assembled. it is unknown why Blackrabbit attacks Sec-Strings. 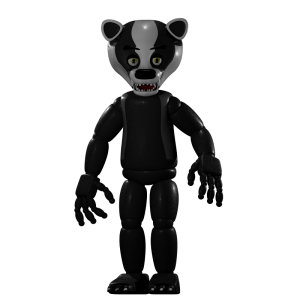 Simon is chained up within Popgoes Pizza. According to the last panel of the unfinished comic, there is a basement at Popgoes Pizza. Simon is kept within that basement, chained up to a wall. 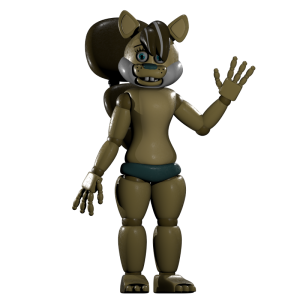 Simon was constructed out of the parts recovered from the remains of Springtrap that was salvaged from Fabear’s Fright. He was built to resemble the personality of Fritz’ brother, who was also called Simon. 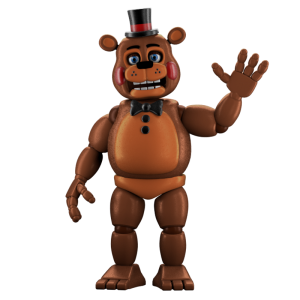 It is unknown if Simon is haunted by the original Simon due to the use of Springtrap parts, or is a completely self-aware AI. Simon appears to Sec-Strings throughout their shift at specific times on specific cameras. 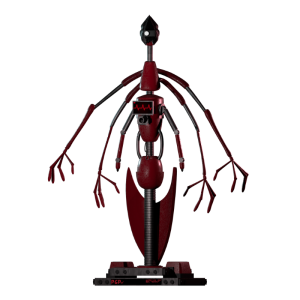 The timing and the specific camera is noted in the game over screens of each of the Popgoes animatronics. 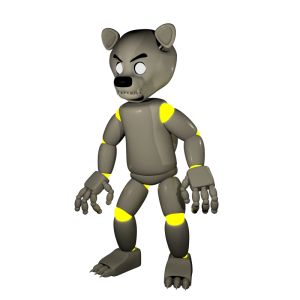 His eye colour changes to match one of the Popgoes animatronics. Upon trying to see Simon once again after achieving the Grave Stone ending, you will instead see the Lux animatronic that his eye colour represented when he was first seen. Sec-Strings is slowly convinced to help Simon over the nights. It is unknown how Sec-Strings is expected to help Simon, due to their inability to move. Throughout the nights, Simon convinces Fritz to allow him to build Blackrabbit. Contrary to the extra menu text and most theories, Simon does not directly kill Fritz, but builds Blackrabbit, who in turn kills Fritz. Simon then leaves the office, breaks Sec-Strings and leaves the Pizzeria. His motives after leaving the location are unknown. 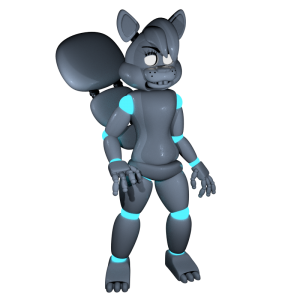 Simon has a pair of unused “eyelids” on his model, which can be used to convey emotion. In all renders, Simon’s “eyelids” are fully retracted. 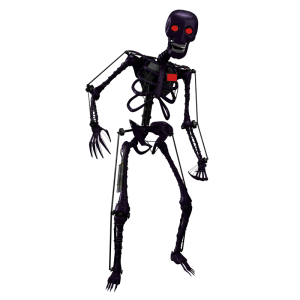 Strings is the player character in Popgoes. The first iteration of Strings was initially built to function as a “scarecrow” character, on the advice of an online friend. Strings was built to ward off the nightmares of The Puppet, and was the only successful “scarecrow” that was built. The location of the prototype is unknown. In-game, the player character is a modified version of Strings, named “Sec-Strings”. Sec-Strings is a self-aware AI experement, designed to exhibit curiosity. They are outfitted with six arms, two or which are used for the Phone. Strings is also responsible for writing the post-it notes that appear on your workstation. Sec-Strings is also fitted with a camera to allow them to see, as well as a heartbeat monitor, which monitors their panic levels. When Sec-Strings panics, they start to see hallucinations, mostly of Stone the Crow. Sec-Strings seems to have some sense of foreknowledge of his situation, as per the post-it notes that pre-empt the phone call instructions. Whenever Sec-Strings is overcome by panic, they shut down, losing connection to their body. 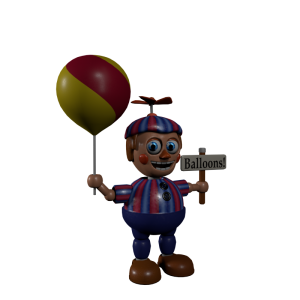 At the end of the game, it is believed that Simon destroys Sec-Strings, so to ensure there is no evidence for Simon’s existence as he escapes the pizzeria. Blackrabbit also appears capable of harming Sec-Strings, shoving them onto their side whenever they are constructed. it is unknown why Blackrabbit attacks Sec-Strings, especially considering her inevitably short lifespan. Sec-Strings’ “gender” has been made purposefully obscure by the developers. 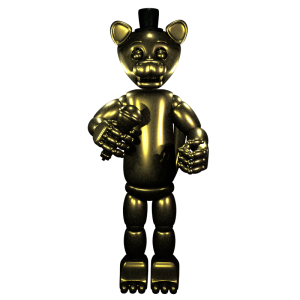 In Popgoes Arcade and the Popgoes extra screen, Strings is referred to as a He. The developers have both declined to comment, and stated Strings was female, contrary to their on-screen pronouns.